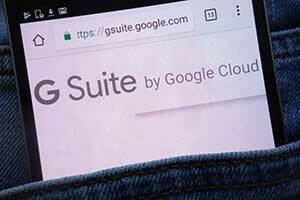 The ongoing competition between Google and Microsoft to capture business customers for their cloud-based G Suite and Office 365 workplace products has resulted in recent improvements to these solutions, which will be beneficial for small companies. In this blog post, we will compare the current popularity of these applications and identify the improvements that consumers will experience when using them. Whether your small business has already migrated to the cloud or is still considering this option, it is important to recognize the functionality of key cloud-based products and stay informed of changes to them. Being familiar with the features of these important products will help you understand which ones will work best to improve your company’s operations. Microsoft Office continues to dominate the workplace productivity software market with most businesses using either Microsoft Office operating systems or the cloud-based Office 365. In terms of businesses using cloud-based services, Microsoft is far ahead of Google with an estimated 120 million Office 365 users versus only about 4 million paid G Suite (formerly Google Apps) business users. Microsoft has about 30 million customers paying for Office 365 and currently earns more revenue from that product than from all their customers using standalone Office operating systems. Despite Microsoft’s clear market superiority in the paid business customers sector, Google has some distinct advantages in other areas, which indicate that this competition will continue to heat up in the foreseeable future. For example, G Suite is preferred by organizations in specific industry sectors such as education; Google’s G Suite for Education has more than 70 million users. Google also has a huge advantage in the important email application area, with a staggering 1.4 billion people using Gmail compared to 400 million using Microsoft Outlook. They can also leverage the power of their Android platform to reach mobile users more easily. Google also has a critical advantage over Microsoft and its legacy standalone applications as they primarily focus on the development of web-first products, which are more appealing to younger customers at work and home. In an effort to improve their market share in the business software area versus Microsoft, Google has made some positive changes that consumers will appreciate. Google has devoted a lot of attention to improving their popular Gmail email application as they try to make it a viable business alternative to Microsoft Outlook. Critics note that many of the “new” developments on Gmail have been standard features on Outlook for some time, but there are additional positive changes. For example, Gmail’s new sidebar is now more similar to Outlook as it makes it easier to integrate email, calendar, tasks, and contacts. Visual changes make it possible to view calendar appointments side by side with emails, there is an email snooze feature reducing unnecessary email openings, and there is also a new hover button feature that allows the user to delete or archive messages without opening them. Google has also leveraged some of its advanced artificial intelligence capability to further enhance Gmail. The Nudging feature reminds the user to follow up on messages, and the Smart Reply feature will auto-suggest email responses for a wide range of business conversations. In addition, in its confidential mode the new Gmail has advanced information rights management features similar to Outlook that allow the user to set expiration dates on emails and prevent recipients from copying, forwarding, printing, or downloading specified messages. There are now also enhanced cybersecurity features such as two-factor authentication, email phishing detection, and a more powerful offline mode. This offline mode is useful for business travelers who desire a similar functionality to their normal Gmail, but either don’t always have internet access or want to reduce their time spent online for security or cost reasons. All of these new features were designed by Google to improve their product and make it more attractive for business customers. In response to the Gmail makeover, as well as in effort to take important customer recommendations into account, Microsoft has released its own redesign for Office 365. The main goals of this effort are to make Office 365 more appealing and easier to use as well as to maintain or increase their market share advantage over Google. Microsoft has focused on making their core Office 365 apps such as Word, PowerPoint, Excel, and Outlook easier to use for people with disabilities along with all customers. The icons of all the apps have been modernized for impressive clarity, no matter the screen size, through the use of scalable graphics. Users can now also hover over comments in documents to get them to change color and can hover over files to get them to pop forward for easy access on the Office website. One of the main changes Microsoft has made is a significant reduction in the size of the ribbon, which is the normal toolbar that has many buttons with various functions. Customers will also be able to pin individual features that they often use to the ribbon. Because some users still prefer the previous version, the redesigned Office 365 has the option to switch back to the original ribbon toolbar with a single click. 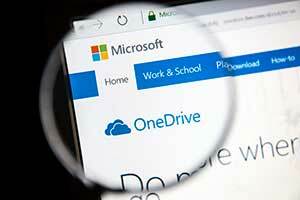 Another change in the latest Office 365 version is an improved search function. The developers have made it possible for users to see a list of search recommendations based on their usage when they move their cursor to the search boxes in the different apps. Microsoft is gradually releasing these new changes in a staggered process. The redesigned apps will only be available to selected customers in the first phase. The developers will then gather helpful feedback from these early users to improve later versions. For example, the new ribbon will only be available at first on the web version of Microsoft Word. Microsoft prides itself in their co-creation process, specifically looking for valuable reviews and suggestions from their current and potential customers. In summary, the healthy and ongoing competition between Google and Microsoft has led to improvements in their web-based products that small business will benefit from now and in the future. We recommend that your small business take the time to discuss these redesigned essential workplace products as well as overall cloud options with a trusted IT Support partner like Network Depot.